It's time to change your Alaska Registered Agents! 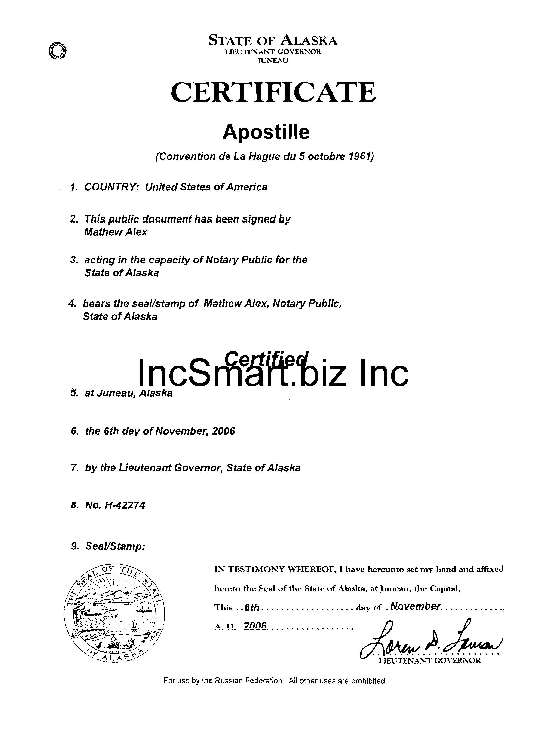 What is an Alaska Registered Agent? 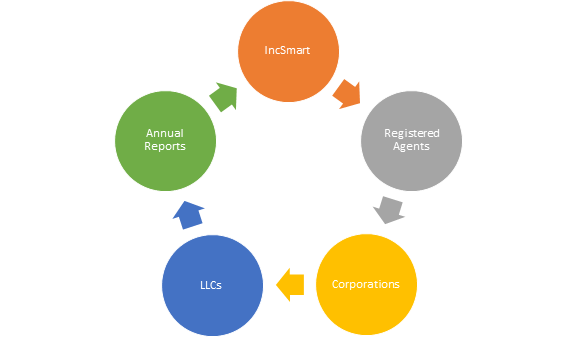 The state of Alaska requires Alaska LLCs and Alaska Corporations registered in the state to conduct business, have Alaska Registered Agent service. The Alaska Registered Agent you appoint for your company, will receive legal service and government notices on your behalf. The Articles of Incorporation or Organization for both domestic and foreign entities, ask for the address of the registered office to receive service of process. The Service of Process is a notice of a summons or a lawsuit. The Alaska Registered Agent fees are the best I could find. Instant service with IncSmart means instant service. We placed the order and had the registered agent information moments later in our order confirmation. Fast service. 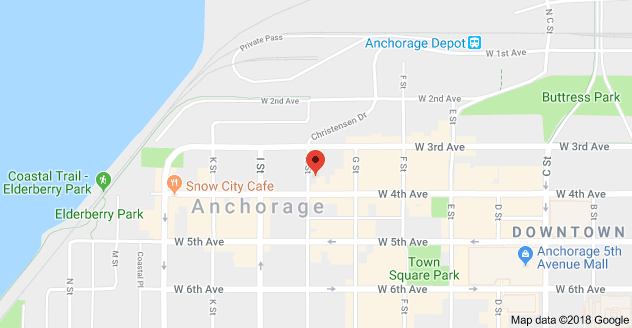 We just ordered our Alaska Registered Agent. We had the name and address in our email right away. We did not have to wait to file. So far so good. Incsmart has turned into a great partner. We expanded our business first in Washington and now Alaska. Incsmart has been there every step of the way. We were so happy finding IncSmart on Yahoo. 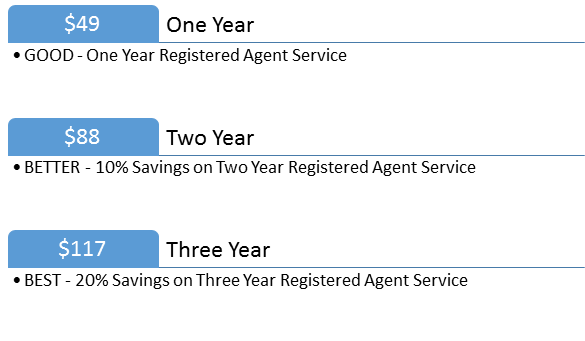 They are saving us so much money on registered agent fees. We had our information just as soon as we placed the order on the web page. No waiting. IncSmart prices are great. There is no better deal online. The receipt included all the information on the Registered Agent and when annual fees are due. Yes, its all about the price. I am so glad we found you online. Our current agent is $250. That's crazy talk. Great prices, especially for Alaska. 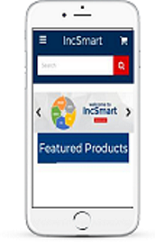 We are going to save allot of money by switching to IncSmart. We just found your webpage on Yahoo. Your prices are too good to pass up. We are disgusted with our current agent. They charge three times the IncSmart fees, and we never hear from them. Thank you IncSmart. Your fees are very cheep. IncSmart has always helped our company in other states. 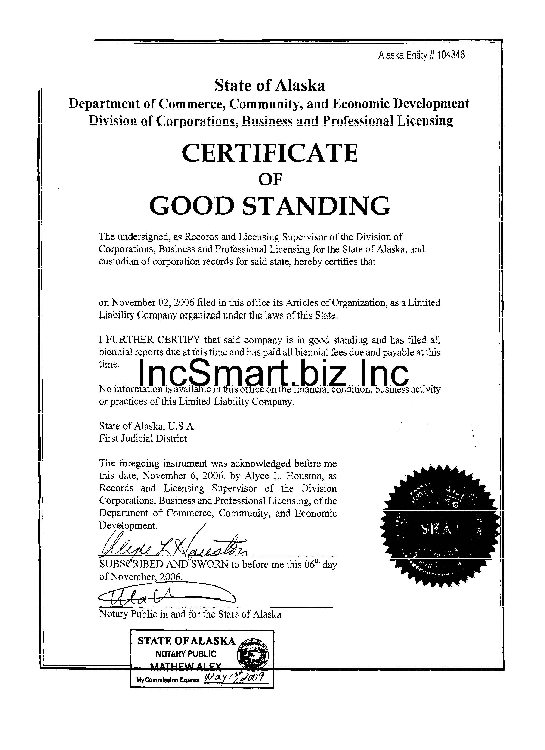 This is our first venture into Alaska, and we knew IncSmart was there. They are a partner with us. HIghly recommended. Thank you for all your help. IncSmart has been great with answering all of our questions. Glad we found you on Yahoo. 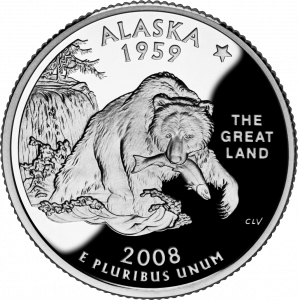 Q: What does the state of Alaska charge to change Registered Agents for corporations and llcs? A: Alaska charged $25 to change the Registered Agent for your company.